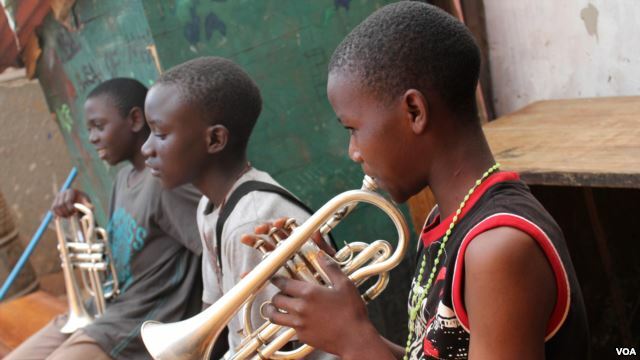 Children play their instruments every day in Kampala, Uganda. Hello, again! And welcome back. I'm Jim Tedder in Washington. Today our program is about the arts …music and painting. We will travel to Uganda to hear how music is helping some poor children. Then we are off to Baltimore, Maryland, in the eastern United States to hear about something new that is happening at a wedding. We call the program As It Is. 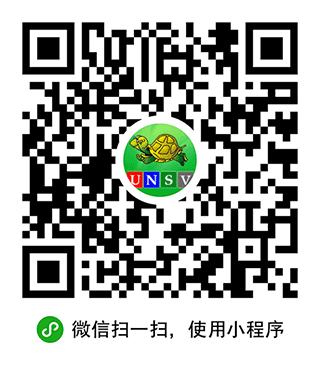 It is a way to help you learn and improve your English. Years ago, a group of young people who lived on the streets in Uganda heard a school band playing. They liked the sound so much, they set up a brass band of their own. They called it M-lisada. Milagros Ardin joins us with the details. Today, Bosco Sagawa operates a home for street children in Kampala. Bosco was among those who first established M-lisada. The children in the home learn to play instruments and perform in concerts. M-lisada has become a source of pride for kids who had lost all hope. Seventeen-year-old Derick Tamale does not know how old he was when he lost his parents and his home. As far as he can remember, he spent his whole childhood running in the streets of Kampala with other boys. They survived by stealing and picking food out of the trash. "It was a miserable life, because I didn't have a home. When it came to night, [there was] nowhere you could sleep. We only slept on the verandas. Sometimes we got food from the rubbish, and then sometimes we'd go to big hotels like Serena, where they throw things that are not so good to sell to people, like cakes." He does not remember how long his life on the streets went on. But one day he discovered music. His life changed forever. By chance, Derick saw a brass band called M-lisada playing in a very poor part of the city. Only former street kids can take part in the band. Their concerts help support the orphanage, the group home where they live. Derick joined them and is now a skilled trombone player. He likes to talk about music with everyone he meets. Mister Segawa understands the feeling. Having grown up on the streets himself, he discovered music when he was 12. It happened just by chance when he came upon that school band playing a concert. The parents were applauding, and he says he knew he wanted to be part of something like that. "In slums people don't appreciate children, even if children try and try, it's very hard. So it was my first experience to see [that] people could appreciate the children because of music. From that time, I thought maybe I could become a musician so that one day people could appreciate me." With the help of a music teacher, Bosco Segawa and a few friends learned to play on used instruments. Not long after they saved enough money to rent a small house and start a band. Over the years, he says music has changed their lives. "All, they are not perfect musicians, but they discovered what they could do. One is a lawyer, two are businessmen, one is a mechanic, one is a social worker who works with me, and one is an expert in education. I'm not a professional musician. But I'm a teacher who teaches young kids." For the 80 kids in his orphanage, Mister Segawa hopes that music will help them discover their abilities as well. Godfrey Mboira is a volunteer music teacher. He says that being in a band also helps former street kids feel they are valued. "It empowers them. And they will do what people don't expect them to do. And then at the end of it they feel they are appreciated (cared about). At least every performance they say, 'well done, well done.' That's the most important thing these children have been missing all those years on the streets." The children at M-lisada all go to school. But after class every day they practice for upcoming concerts. For Derick, it is one of the best parts of the day. He says playing the trombone makes him feel important. He says he does not know what would have become of him without the band. "I think I would maybe be dead by this time. Because on the street every day I would see my friends dying, using drugs and then they end up dying. Maybe I would have been in jail, somewhere working as a prisoner, or maybe just a useless person on the street. Music is the one which is making me to be where I am now. It is really like a thing which rescued me." Derick is one of the lucky ones. The orphanage is small, with no more than three bedrooms. Thousands of children still live on the streets. During the day, many show up at the orphanage to rest and listen to music. But when night falls, they melt back into the shadows of the city. I'm Milagros Ardin. In the United States, weddings, birthdays and other celebrations are usually captured in photographs. But now, a small but growing number of artists are making paintings of these events.For that story, we travel to a wedding celebration near Baltimore, Maryland. Gina D'Anna and Donald Anderson Junior were just married. As they dance for the first time as a married couple, we see that their family and friends are enjoying the party. In a distant part of the room, a witness to the action carefully paints the dancing couple on her canvas. This woman, Patricia Bennett, is a live event artist. She captures the special day as it takes place. "I try to focus on what I think is important to the group or the individual who is commissioning it. For weddings, a lot of times it is the cake, the dance." 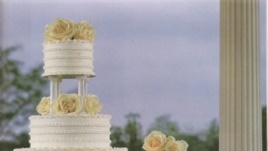 Large cakes are often part of a wedding party. Patricia Bennett once painted nature and portraits – official-looking pictures of people. Her first live event painting came last year when she captured her grandmother's 97th birthday party. That was a turning point in her career as an artist. "I especially love live event painting because I love to paint people and I love to paint beautiful things. And I like to paint happiness." Ms. Bennett usually starts painting the background a few hours before the event. As people arrive, she adds them and other activities to the picture. "What I hope to be captured is just the emotion that is going on this evening. There is a bunch of happiness with friends and family here this evening." Not everyone at the event will appear on the painting. So Anna Hergenroeder, a relative of Mr. Anderson, is surprised to find herself in a painting. "I feel very important. I am a 94-year-old woman. I don't know why I am in the painting, but I am excited to be in there." Patricia Bennett does not object to doing a little work to improve people's images. "I don't call it fictionalized (untrue). It's more like if sometimes the wife comes over to me and says, 'Can you give him some more hair'?" She asks $1,500 for her services at an event. "I think more and more artists are starting to do it because it is really fun. And it is useful". By the time the party ends, the painting is complete. Ms. Bennett takes it home to make any final changes, then signs and delivers it. "O my goodness, it's beautiful. It's absolutely gorgeous. Ms. Bennett says almost all her time for live event painting is filled for the coming spring and fall. And she already has requests for 2015. Well, it looks like our As It Is party is just about over. There are more Learning English programs headed your way in just a few seconds. And, of course, you can hear world news at the beginning of the hour on VOA. I'm Jim Tedder in Washington. We hope to see you again real soon.